Everyone’s been wondering how to support We Broke Up, and this is the only things I come up to ~ so if you have more ways to support We Broke Up, kindly leave a comment at the comments section ❤ Thank you! FIRST. 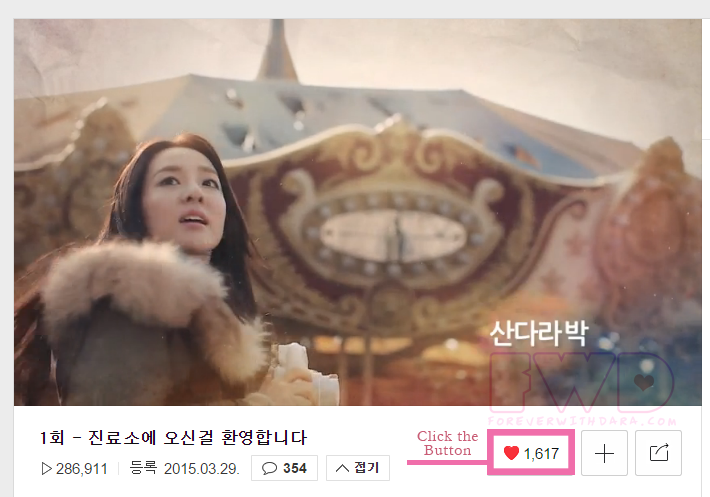 Watch the webdrama at the following sites to increase the views; Naver, YG Entertainment, YGK+ TV and Insite TV. 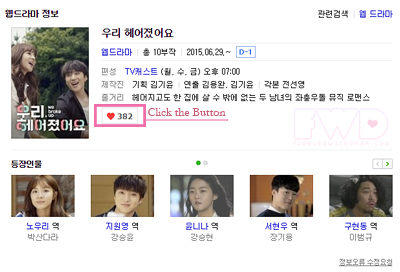 Note: It will be wonderful if you watch the broadcast on the designated time, so we can spazz all together in twitter ^.^ Schedule: Premiere June 29, 2015 7PM KST Every Monday, Wednesday and Friday (same time) until July 19, 2015. FOURTH. 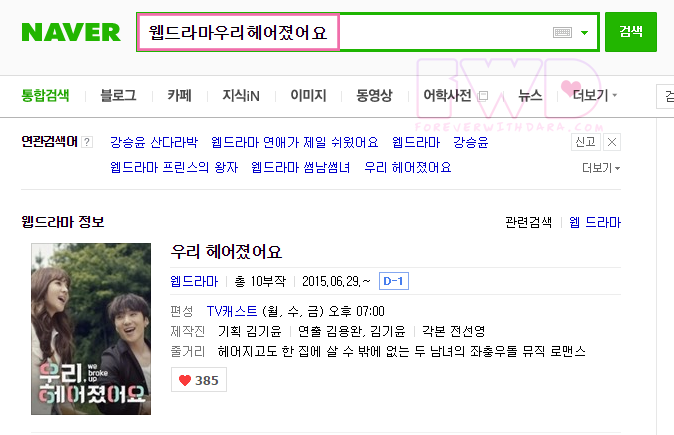 Since we’re talking about Naver, (and while you’re in Naver keke) Keep searching “우리 헤어졌어요” ” (Trans: We Broke Up) by putting it at the search bar. FIFTH. Twitter! Yay ~! I know international fans can relate to this bwahaha!! 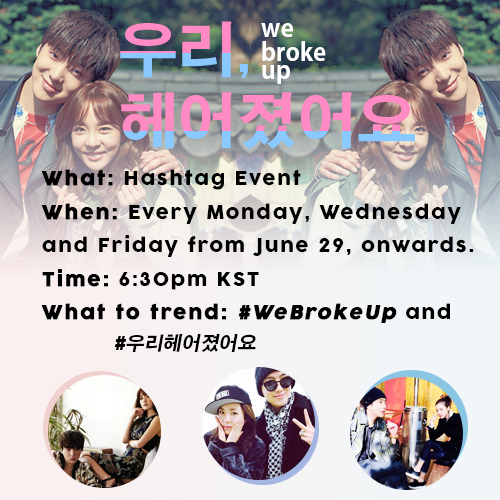 😂😂 We can spazz altogether by including the General hashtags “#WeBrokeUp” & “#우리헤어졌어요” in our tweets ~ every Mondays, Wednesdays and Fridays 7PM KST. We don’t need any format to tweet, just simply spazz and support We Broke Up! The most important thing in here is to show how we love and support Dara all the way, no matter what path she’ll take, we will always be right beside her.